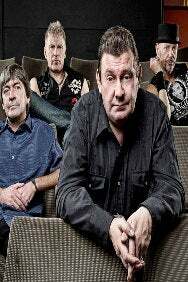 We do not curently have theatre tickets available for Stiff Little Fingers. This could be because we have simply sold out or it could be that this show is no longer running. The information on this page remains purely for historical and informational purposes. Original 70s punks from Belfast still fronted by the iconic Jake Burns - and fave band of former England defender Stuart Pearce. Unlike many of the genre, Steel Little Finger's music combines lyrics that meld the personal and political, music that combines the energy of punk with infectious hooks, and delivery that rings of honesty and commitment.